I come to you on what is the one year anniversary of the Trayvon Martin case verdict. While the verdict was certainly a blow to the black community, it acted as a means to personify the continued devaluing of the black body. The presence of blackness on a body negates the innocence traditionally associated with childhood. Despite the jury being predominately women, many of them mothers, they failed to their child in the slain teen, on account of his race. While black males are certainly placed on the bottom of societal hierarchy, their appeal is undeniable. Many males of the majority and outside the black diaspora assume their superiority toward black men on the surface, but secretly possess envy towards their perceptions of being more athletically inclined, stronger and sexually superior. While these perceptions are certainly cultivated by prejudice and are grounds for exploitation and further disenfranchisement, they are anxiety inducing for men who see the praise black men receive in some areas as a declaration of their inferiority. Many men of the majority and outside the black diaspora use a phallic gun as a means of extending the inches of their own desirability. As the decider of whether black males live or die, these males feel as though they have achieved the ultimate position of power. George Zimmerman is certainly one of these men, plagued with inferiority only cured through the presence of a gun. With half of his foot in the Latin community, Zimmerman shields his prejudice in an affiliation to another exploited minority faction. However what this case works to demonstrate is that even those excluded from majority status do not necessarily assume allegiance with blacks. Many Latinos, amongst other minority factions maintain a stance of superiority towards blacks, making them prone to many of the same prejudices and attitudes of superiority held by whites. While the Trayvon Martin case works to present the division of minority factions in a world partial to the majority, it also works to substantiate ideas of superiority in non black factions. Trayvon’s killer was not only able to murder the teen in cold blood, but was able to smile in court as he was acquitted of all charges. Adding insult to injury. Trayvon’s body was left in the morgue for days before identification, cold, alone and nameless, demonstrating in both life and death how little black bodies are thought of in America. The true tragedy of this case is living in a world where the innocence of childhood is sacrificed to uphold faulty ideas of superiority. Trayvon is one of many faceless black boys scattered across a nation that was built on their back of their ancestors, yet still fails to see their value. A society that turns a blind eye to continued injustice enabled by a system corrupted with racism and prejudice. While Zimmerman and the jaded women of the jury are separate agents in this tragic case, they represent how deeply the institution of racism is embedded in the minds of Americans. 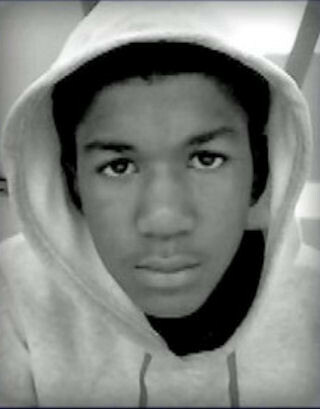 The tragedy of Trayvon martin personifies that racism and prejudice jointly operate without acknowledgement, without thought and without consequence. This fact makes the world we live in one where the innocence of childhood is scarified to uphold faulty ideas of superiority. So as we reflect on our fallen black kind, let us be reminded of assumed threat we pose as black people in a world that has consistently threatened us.